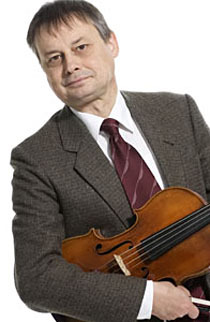 Johannes Flieder, viola, was born in 1959, studied with Professor Margarete Biedermann at the Conservatory in Vienna. He later continued his studies with Professor Siegried Fuhrlinger at the Musikhochschule in Vienna. In 1980 he won second prize at the International ARD Competition in Munich. That same year he also joined the Vienna Symphonic Orchestra as first violist. As a soloist Flieder has appeared at many major concert venues in Austria and Germany such as the Musikverein, the Bregenz Festival, the Carinthian Summer Ossiach, Berlin and Lubeck, amongst others. His work as a chamber musician has taken him to most European countries. He has also participated in numerous CD recordings.